A former collegiate athlete, NCAA Division I assistant basketball coach and athletic administrator, Megan Kahn brings a vast perspective to WeCOACH. She assumed the role of Executive Director on August 1, 2016. In her first twenty-four months, she has infused the organization with energy and new leadership, including a complete rebrand, as well as developing and implementing a number of programs and resources to serve the women’s coaching community. 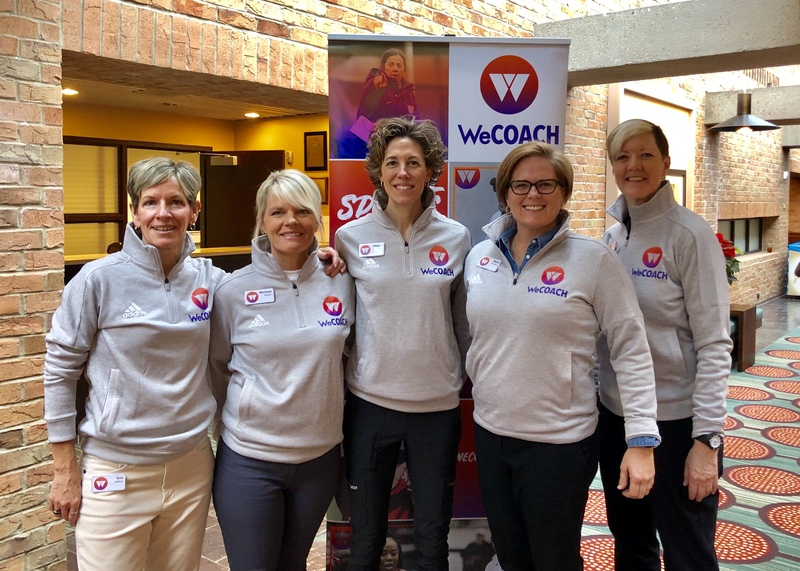 Prior to assuming the executive director position, she served in several capacities for WeCOACH, focusing on coordinating event and educational program operations and building connections and engagement. In 2013, Megan founded her own collegiate consulting company, KAHNSULTING, in which she collaborated with administrators and coaches across the country in various championship and event management roles. 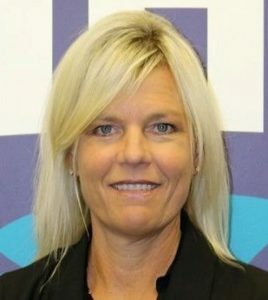 She served as the 2015 NCAA Division I Women’s Basketball Final Four tournament manager, overseeing game operations in Tampa, and is again reprising her role for the 2019 NCAA Women’s Basketball Final Four. After graduating from Cal Poly, Pomona and playing for the, then, nationally ranked softball team as an All-American, Laura launched a career in high-tech with Hewlett-Packard in the Bay Area. Laura enjoyed a 21-year career in information technology managing software development projects for Hewlett-Packard and Agilent Technologies. She gained a broad range of experience across front and back office functions by streamlining business processes through technology with expertise in customer relationship management solutions and building consensus amongst stakeholders. 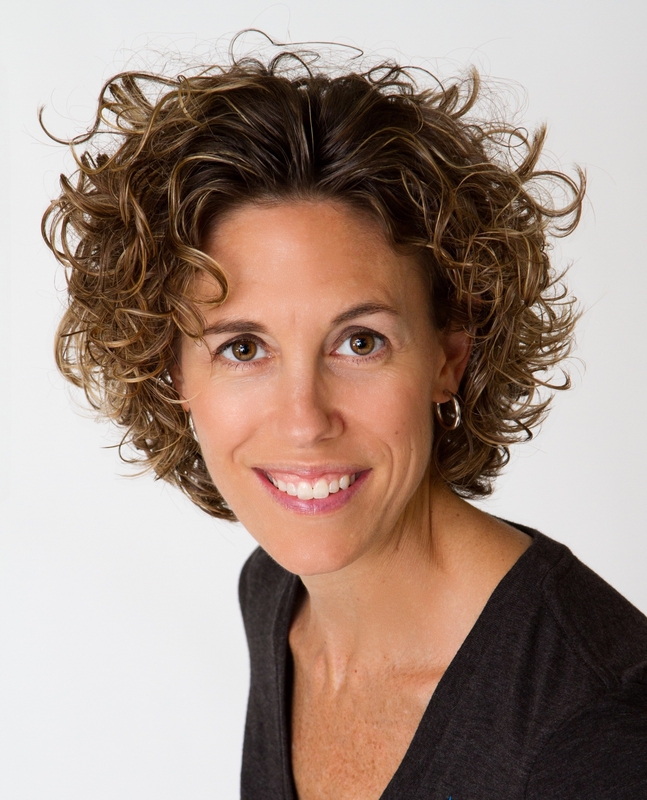 Laura comes to WeCOACH from the nonprofit, Bay Area Women’s Sport Initiative (BAWSI), having worked alongside founder, Marlene Bjornsrud, for more than 7 years as their Chief Operating Officer. She was responsible for implementing and executing the internal business processes and infrastructure allowing the organization to grow and fulfill its mission. When Laura isn’t knee deep in a spreadsheet or rooting for her hometown Dodgers, you can find her playing keyboards in a local church band. Ann Walker was named Director of Events and Communications for WeCOACH in August 2016. She brings over 25 years of experience at the NCAA Division I and II levels, NAIA, and community college in both coaching and athletic administration. 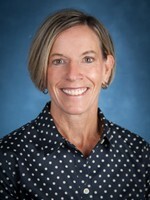 Walker’s most recent stint was at Clark College, a community college in Vancouver, WA, where she served as Director of Athletics since September 2014. Under Walker’s leadership, the Penguins achieved great success, including an NWAC Championship by the men’s basketball team (2014-15) along with five regional titles. The volleyball team finished runners-up (2015), and the top runner in the NWAC’s was on the men’s cross country team. In addition, 9 of 11 teams both years made post-season. Walker also was instrumental in facility improvement with the addition of a press box for the soccer field. She started the end-of-year All-Sports Banquet and revived the only Athletic department-run fundraising event (golf tournament) which raised a record amount in the first year back on the calendar. Before moving to the Northwest, Walker spent six years (2006-12) as the Associate Athletic Director for Compliance and Internal Ops/SWA at Nova Southeastern University (NCAA DII) in Fort Lauderdale, FL. In addition to her administrative duties, Walker served as the South Region Chair of the NCAA Division II Women’s Basketball Committee until April, 2008 when she was named the National Chair, a position she held until the conclusion of the 2011 season. She also served on the DII South Region Tennis Committee, as well as other region and conference committees. Also during her time at NSU, Walker served for one season as the women’s basketball interim head coach for the 2010-11 season, when the Sharks were left without a coach right before the start of the season. Walker landed at NSU from the Sunshine State Conference, where she served as the Assistant Commissioner/SWA for one year (2005-06). Prior to that, she was at Minnesota State University in Mankato (NCAA DII) for seven years. While at MSU (1998-2005), Walker was the head women’s basketball coach the first six years and served her final year as Assistant Athletic Director of Fundraising. Before joining the staff at Minnesota State, Walker served as the assistant women’s basketball coach at NCAA DI Creighton University in Omaha, Nebraska for three seasons (1995-98). Her experience also includes four years at Teikyo Marycrest University in Davenport, Iowa, where she served as Assistant Athletic Director, head women’s basketball coach and head softball coach from 1989-1993. An active member of NACWAA (National Association of Collegiate Women Athletic Administrators) since 2005, she was named the NCAA Division II Administrator of the Year in 2012. Walker holds a Bachelor of Arts degree in elementary education from Northwestern College of Orange City, Iowa (’87) and a Master of Arts degree in sport psychology from the University of Iowa (’95). She currently resides in Vancouver, WA with her partner, Lisa. Kornegay, a former NCAA Division I golf coach, brings 20 years of experience in collegiate golf as a Coach and LPGA Teaching Professional, including her playing career at The University of Mississippi. As head coach at University of South Florida, Kornegay earned two Big East Coach of the Year honors in 2010 and 2012, coached Big East Player and Freshmen of the Year in 2008, 2010, 2012, and coached a Big East team championship in 2012. Kornegay held office as vice president of the Big East and American Conference Coaches Committee from 2010-2016 and served on the NCAA DI Golf Championship selection committee from 2012-2015. In 2016, following her coaching career at USF and assistant coaching positions at Louisiana State University, Winthrop University, and University of South Carolina, Marci completed a four-month long, 2,189 mile thru-hike from Maine to Georgia on the Appalachian Trail. This was a dream accomplishment prior to becoming a Realtor® in her hometown of Savannah, GA and joining her family in the Real Estate business. Marci’s enthusiasm in personal and professional development is contagious as she has influenced several players to begin collegiate and high school golf coach and athletic administration careers. 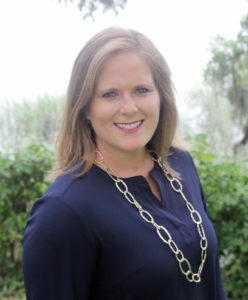 A graduate of the NCAA Women Coaches Academy in 2011, Marci holds a master’s degree in Organizational Leadership and Change Management and is an LPGA Teaching Professional and holds a real estate license. In her spare time, she is entertained by hiking, biking, photography, playing golf, and travel. Michele McGee Wolfert was named Director of Strategic Relationships for WeCOACH in November 2018. She brings a wealth of experience in corporate sponsorship, annual giving, and revenue generation. Most recently, Wolfert served as the Director of Partnerships for the Charlotte Hornets’ G League team, the Greensboro Swarm, after serving as Executive Director of the College of Charleston Cougar Club for three years. Previous experience includes stints at the Georgia Tech Athletic Association and Virginia Tech Athletics. Wolfert received her undergraduate degree from the University of North Carolina-Chapel Hill and a Master’s of Sports Administration from Ohio University. “As the daughter, sister, niece and mother of those that have coached at the college, high school and middle school levels, I am very excited to join a team whose important mission is recruiting, retaining and advancing coaches at all levels,” said Wolfert. Michele and her husband, Mike, reside in Winston-Salem, NC, and are the proud parents of three children.